If you can’t think of what to get the expecting mom this year for the Holidays might I recommend the Boppy Bolster and the Boppy Pregnancy Wedge. Both of these items are a dream come true for pregnant backs and bellies. I have been using them for the past few weeks of my pregnancy and they have helped so much with my backache. I am glad I have them for the next three months of my pregnancy too. The Pregnancy Wedge is a firm, versatile cushion for back and belly support. Developed with a physical therapist, the design cradles mom’s belly for comfortable sleep. Its lightweight and portable design means mom can put it where she wants it. The removable slipcover is machine washable. I absolutely love the included TheraPearl pack. I really like it when I warm it up and put it on my lower back. I also use it on my shoulders because they have been extremely sore lately. The Bolster is great for support in all areas that mom-to-be needs. When laying in bed you can prop it in between your legs, or extra support on your lower back when sitting down. 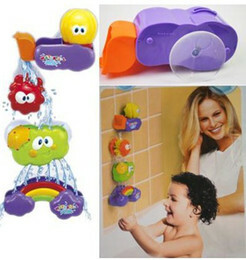 You can purchase both items online at Boppy.com and at stores like Babies R Us. ONE winner will receive a Boppy Pregnancy Pillow Prize Pack that includes the Pregnancy Bolster and Pregnancy Wedge! Would love to win this boppy! I love the Boppy Interactive Pillow, love that it has Includes 3 crinkle toys and 1 rattle ring. I would also love the Boppy Newborn Lounger for once our little guy is born! I would like the Bobby Custom Fit Total Body Pillow. Love the Boppy Newborn Lounger! I would love the Boppy total body pillow! I would love the Boppy Baby Chair!! The baby lounger for sure. This is an awesome company! I like the Boppy baby chair. I’d like a feeding pillow as well. I would love to have the newborn lounger and the tummy play pad. I love the Boppy Newborn lounger as well! It looks super comfy! The newborn lounger is nice too. I would like to have the Boppy® Heirloom Newborn Lounger. i love the boppy travel pillow. we love the tummy time interactive pillow, our reflux baby loves it! I also think the Boppy® Cuddle Pillow – Upholstered looks great to have. I would love to have th Boppy® Flying Circus Play Gym with Toy Box. I also like the Boppy Slipcovered Pillow!